What can traditional brands learn from collaborative economy in order to involve and thrill consumers until they become ambassadors? The spread of collaborative marketplaces allows companies to focus on the engagement between brand and consumers (which FB cannot offer) strengthening fidelity and direct relations. This is the key theme of trnd. Mediatyche’s strategy and activities in order to promote the neo-tribal consumption’s era are based on media relations, and more specifically on a stage of analysis that involved influencers, consum’actors (the new consumers) and companies. 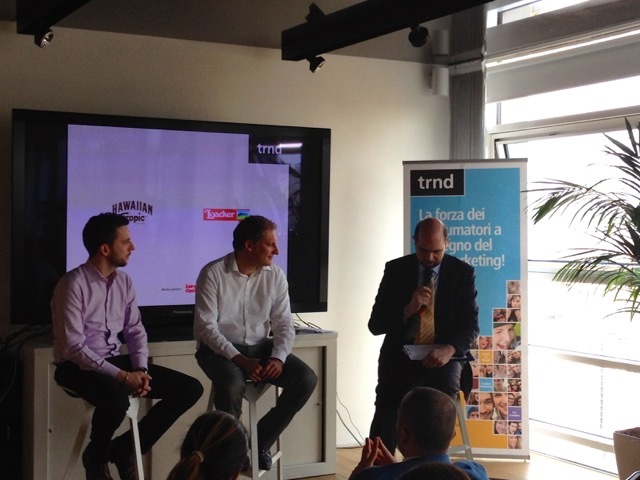 The opinions we collected were shown in a video directed by Mediatyche during a trnd event by Largo Consumo and will be the main theme of trnd’s 2015-2016 campaign.